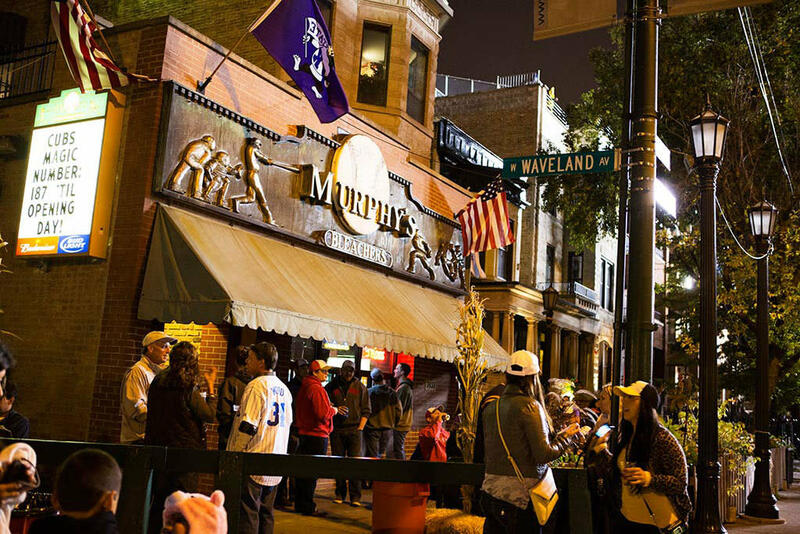 Murphy's Bleachers is a historic Chicago sports bar located across the St. from the entrance to the Wrigley Field bleacher section, at the corner of Sheffield and Waveland Avenue. We are nationally known as the place to hang out before, after and during Chicago baseball games for fans, players and celebrities. We also offer delicious food, beverages, private parties and more!